Morgan’s reasoning confirms what yours truly has repeatedly argued on this blog and in On the use and misuse of theories and models in mainstream economics — RCTs usually do not provide evidence that the results are exportable to other target systems. The almost religious belief with which its propagators portray it, cannot hide the fact that RCTs cannot be taken for granted to give generalizable results. That something works somewhere is no warranty for it to work for us or even that it works generally. What I do not believe is that the relation that matters is simply the entailment relation between the theory, on the one hand, and the evidence on the other. The reasons that the relation cannot be simply that of entailment are exactly the reasons why the hypothetico-deductive account … is inaccurate; but the suggestion is at least correct in sensing that our judgment of the relevance of evidence to theory depends on the perception of a structural connection between the two, and that degree of belief is, at best, epiphenomenal. In the determination of the bearing of evidence on theory there seem to be mechanisms and strategems that have no apparent connection with degrees of belief, which are shared alike by people advocating different theories. Save for the most radical innovations, scientists seem to be in close agreement regarding what would or would not be evidence relevant to a novel theory; claims as to the relevance to some hypothesis of some observation or experiment are frequently buttressed by detailed calculations and arguments. All of these features of the determination of evidential relevance suggest that that relation depends somehow on structural, objective features connecting statements of evidence and statements of theory. But if that is correct, what is really important and really interesting is what these structural features may be. The condition of positive relevance, even if it were correct, would simply be the least interesting part of what makes evidence relevant to theory. None of these arguments is decisive against the Bayesian scheme of things … But taken together, I think they do at least strongly suggest that there must be relations between evidence and hypotheses that are important to scientific argument and to confirmation but to which the Bayesian scheme has not yet penetrated. 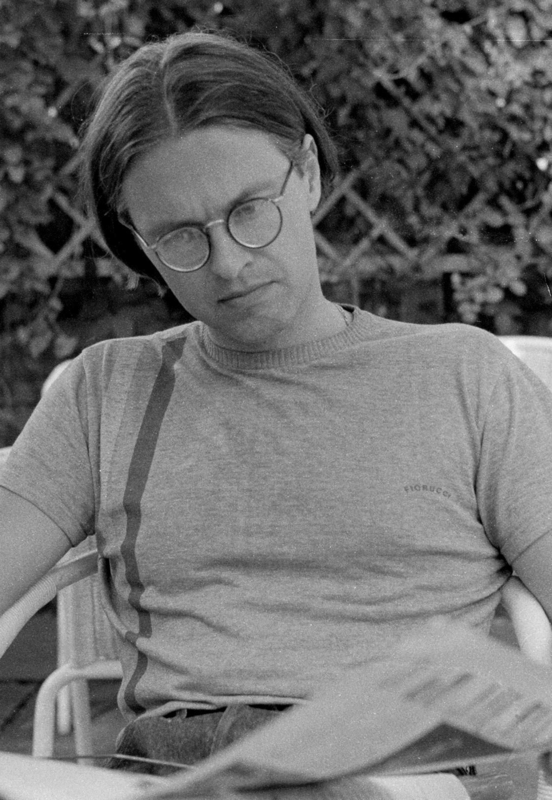 Traditionally, philosophers have focused mostly on the logical template of inference. The paradigm-case has been deductive inference, which is topic-neutral and context-insensitive. The study of deductive rules has engendered the search for the Holy Grail: syntactic and topic-neutral accounts of all prima facie reasonable inferential rules. The search has hoped to find rules that are transparent and algorithmic, and whose following will just be a matter of grasping their logical form. Part of the search for the Holy Grail has been to show that the so-called scientific method can be formalised in a topic-neutral way. We are all familiar with Carnap’s inductive logic, or Popper’s deductivism or the Bayesian account of scientific method. There is no Holy Grail to be found. There are many reasons for this pessimistic conclusion. First, it is questionable that deductive rules are rules of inference. Second, deductive logic is about updating one’s belief corpus in a consistent manner and not about what one has reasons to believe simpliciter. Third, as Duhem was the first to note, the so-called scientific method is far from algorithmic and logically transparent. Fourth, all attempts to advance coherent and counterexample-free abstract accounts of scientific method have failed. All competing accounts seem to capture some facets of scientific method, but none can tell the full story. Fifth, though the new Dogma, Bayesianism, aims to offer a logical template (Bayes’s theorem plus conditionalisation on the evidence) that captures the essential features of non-deductive inference, it is betrayed by its topic-neutrality. It supplements deductive coherence with the logical demand for probabilistic coherence among one’s degrees of belief. But this extended sense of coherence is (almost) silent on what an agent must infer or believe. 1 Centrala idéer förklaras inte. 2 Grunderna för en övertygelse anges inte. 3 Framställningen av läran har en språklig stereotypi … samma formuleringar återkommer gång på gång, utan att nyanseras och utan att utvecklas. Och ingenstans i den svenska akademin befinner sig en disciplin mer uppenbart på randen av denna antiintellektuella postmoderna avgrund än inom pedagogiken. I inget annat akademiskt ämne har postmodern sanningsrelativism och kvasi-vetenskaplig mumbo jumbo fått en sådan framskjuten position. Den posthumanistiska pedagogiken utmanar oss att producera nya verkligheter där människan inte längre sätter sig själv i centrum. Kropp, materia, djur och natur blir aktiva deltagare när kunskap blir till. Det möjliggör att se lärande och kunskap på ett nytt och annorlunda sätt. Boken ger olika ingångar till posthumanistisk pedagogik, så som filosofi, etik, feminism, poesi, visuell kunskap och dokumentation, men också bokhundar, skolböcker, pennskrin, dataskärmar, monterade djur och ultraljudsbilder. This, of course, was like swearing in church. My mainstream colleagues were — to say the least — not exactly überjoyed. The decision theoretical approach I was most critical of, was the one building on the then reawakened Bayesian subjectivist (personalistic) interpretation of probability. Almost a hundred years after John Maynard Keynes wrote his seminal A Treatise on Probability (1921), it is still very difficult to find mainstream economists that seriously try to incorporate his far-reaching and incisive analysis of induction and evidential weight. Variation, not replication, is at the core of induction. Finding that p(x|y) = p(x|y & w) doesn’t make w ‘irrelevant.’ Knowing that the probability is unchanged when w is present gives p(x|y & w) another evidential weight. Running 10 replicative experiments do not make you as ‘sure’ of your inductions as when running 10 000 varied experiments — even if the probability values happen to be the same. According to Keynes we live in a world permeated by unmeasurable uncertainty – not quantifiable stochastic risk – which often forces us to make decisions based on anything but ‘rational expectations.’ Keynes rather thinks that we base our expectations on the confidence or ‘weight’ we put on different events and alternatives. To Keynes, expectations are a question of weighing probabilities by ‘degrees of belief,’ beliefs that often have preciously little to do with the kind of stochastic probabilistic calculations made by the rational agents as modelled by mainstream economists. How strange that mainstream economists do not even touch upon these aspects of scientific methodology that seems to be so fundamental and important for anyone trying to understand how we learn and orient ourselves in an uncertain world. An educated guess on why this is a fact would be that Keynes two-dimensional concepts of evidential weight and uncertainty are not possible to squeeze into a single calculable numerical ‘probability’ (Peirce had a similar view — ” to express the proper state of belief, not one number but two are requisite, the first depending on the inferred probability, the second on the amount of knowledge on which that probability is based”). In the quest for calculable risk, one puts a blind eye to genuine uncertainty and looks the other way. 10 januari, 2019 kl. 15:29 | Publicerat i Theory of Science & Methodology | Kommentarer inaktiverade för What counts as evidence? What counts as evidence? I suspect we tend to overweight some kinds of evidence, and underweight others. Yeh’s paper is a lovely illustration of a general problem with randomized control trials – that they tell us how a treatment worked under particular circumstances, but are silent about its effects in other circumstances. They can lack external validity. Yeh shows that parachutes are useless for someone jumping from a plane when it is on the ground. But this tells us nothing about their value when the plane is in the air – which is an important omission. If we take all this together, it suggests that a lot of conventional evidence isn’t as compelling as it seems. Which suggests that maybe the converse is true. Here as elsewhere, Bayesian philosophy of science obscures a difference between scientists’ problems of hypothesis choice and the problems of prediction that are the standard illustrations and applications of probability theory. In the latter situations, such as the standard guessing games about coins and urns, investigators know an enormous amount about the reality they are examining, including the effects of different values of the unknown factor. Scientists can rarely take that much knowledge for granted. It should not be surprising if an apparatus developed to measure degrees of belief in situations of isolated and precisely regimented uncertainty turns out to be inaccurate, irrelevant or incoherent in the face of the latter, much more radical uncertainty. Although Bayesians think otherwise, to me there’s nothing magical about Bayes’ theorem. The important thing in science is for you to have strong evidence. If your evidence is strong, then applying Bayesian probability calculus is rather unproblematic. Otherwise — garbage in, garbage out. Applying Bayesian probability calculus to subjective beliefs founded on weak evidence is not a recipe for scientific progress. It is important not to equate science with statistical calculation or applied probability theory. All science entail human judgement, and using statistical models doesn’t relieve us of that necessity. Statistical models are no substitutes for doing real science. Although Bayesianism has tried to extend formal deductive logic into real-world settings via probability theory, this is not a viable scientific way forward. Choosing between theories and hypotheses can never be a question of inner coherence and consistency. Bayesian probabilism says absolutely​ nothing about reality. Rejecting probabilism, Popper not only rejects Carnap-style logic of confirmation, he denies scientists are interested in highly probable hypotheses … They seek bold, informative, interesting conjectures and ingenious and severe attempts to refute them. Bayesian reasoning works, undeniably, where we know (or are ready to assume) that the process studied fits certain special though abstract causal structures, often called ‘statistical models’ … However, when we choose among hypotheses in important scientific controversies, we usually lack such prior knowledge​ of causal structures, or it is irrelevant to the choice. 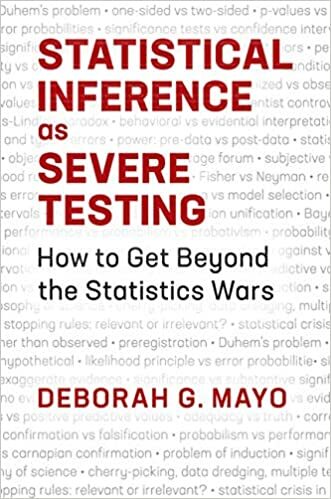 As a consequence, such Bayesian inference to the preferred alternative has not resolved, even temporarily, a single fundamental scientific dispute. Mainstream economics nowadays usually assumes that agents that have to make choices under conditions of uncertainty behave according to Bayesian rules (preferably the ones axiomatized by Ramsey (1931), de Finetti (1937) or Savage (1954)) — that is, they maximize expected utility with respect to some subjective probability measure that is continually updated according to Bayes theorem. If not, they are supposed to be irrational, and ultimately — via some “Dutch book” or ”money pump” argument — susceptible to being ruined by some clever “bookie”. Bayesianism reduces questions of rationality to questions of internal consistency (coherence) of beliefs, but — even granted this questionable reductionism — do rational agents really have to be Bayesian? However, there are no strong warrants for believing so. In many of the situations that are relevant to economics, one could argue that there is simply not enough of adequate and relevant information to ground beliefs of a probabilistic kind, and that in those situations it is not really possible, in any relevant way, to represent an individual’s beliefs in a single probability measure. Say you have come to learn (based on own experience and tons of data) that the probability of you becoming unemployed in the US is 10%. Having moved to another country (where you have no own experience and no data) you have no information on unemployment and a fortiori nothing to help you construct any probability estimate on. A Bayesian would, however, argue that you would have to assign probabilities to the mutually exclusive alternative outcomes and that these have to add up to 1​ if you are rational. That is, in this case — and based on symmetry — a rational individual would have to assign probability 10% to become unemployed and 90% to become employed. That feels intuitively wrong though, and I guess most people would agree. Bayesianism cannot distinguish between symmetry-based probabilities from information and symmetry-based probabilities from an absence of information. In these kinds of situations, most of us would rather say that it is simply irrational to be a Bayesian and better instead to admit that we “simply do not know” or that we feel ambiguous and undecided. Arbitrary an ungrounded probability claims are more irrational than being undecided in face of genuine uncertainty, so if there is not sufficient information to ground a probability distribution it is better to acknowledge that simpliciter, rather than pretending to possess a certitude that we simply do not possess. 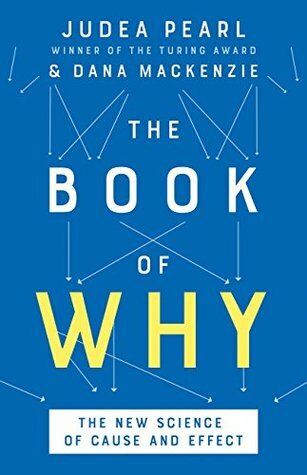 We live in a world permeated by unmeasurable uncertainty – not quantifiable stochastic risk – which often forces us to make decisions based on anything but rational expectations. Sometimes we ‘simply do not know.’ There are no strong reasons why we should accept the Bayesian view of modern mainstream economists, according to whom expectations “tend to be distributed, for the same information set, about the prediction of the theory.” As argued by Keynes, we rather base our expectations on the confidence or “weight” we put on different events and alternatives. Expectations are a question of weighing probabilities by ‘degrees of belief,’ beliefs that standardly have preciously little to do with the kind of stochastic probabilistic calculations made by the rational agents modelled by mainstream economists. Models share three common characteristics: First, they simplify, stripping away unnecessary details, abstracting from reality, or creating anew from whole cloth. Second, they formalize, making precise definitions. 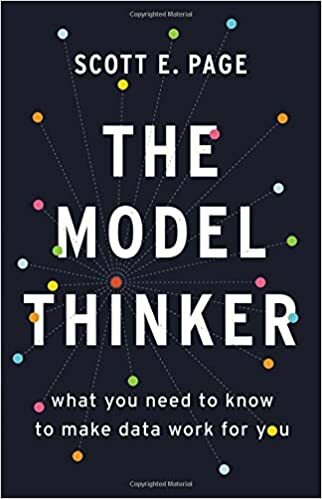 Models use mathematics, not words … Models create structures within which we can think logically … But the logic comes at a cost, which leads to their third characteristic: all models are wrong … Models are wrong because they simplify. They omit details. By considering many models, we can overcome the narrowing of rigor by crisscrossing the landscape of the possible. To rely on a single model is hubris. It invites disaster … We need many models to make sense of complex systems. Yes indeed. To rely on a single mainstream economic theory and its models is hubris. It certainly does invite disaster. To make sense of complex economic phenomena we need many theories and models. We need pluralism. Pluralism both in theories and methods. Using ‘simplifying’ mathematical tractability assumptions — rational expectations, common knowledge, representative agents, linearity, additivity, ergodicity, etc — because otherwise they cannot ‘manipulate’ their models or come up with ‘rigorous ‘ and ‘precise’ predictions and explanations, does not exempt economists from having to justify their modelling choices. Being able to ‘manipulate’ things in models cannot per se be enough to warrant a methodological choice. If economists do not think their tractability assumptions make for good and realist models, it is certainly a just question to ask for clarification of the ultimate goal of the whole modelling endeavour. The final court of appeal for models is not if we — once we have made our tractability assumptions — can ‘manipulate’ them, but the real world. And as long as no convincing justification is put forward for how the inferential bridging de facto is made, model building is little more than hand-waving that give us rather a little warrant for making inductive inferences from models to the real world. 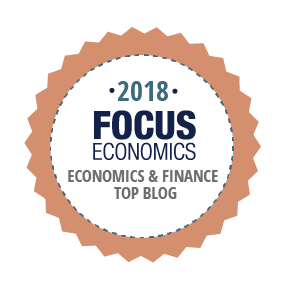 Mainstream economists construct closed formalistic-mathematical theories and models for the purpose of being able to deliver purportedly rigorous deductions that may somehow by be exportable to the target system. By analyzing a few causal factors in their ‘laboratories’ they hope they can perform ‘thought experiments’ and observe how these factors operate on their own and without impediments or confounders. Unfortunately, this is not so. The reason for this is that economic causes never act in a socio-economic vacuum. Causes have to be set in a contextual structure to be able to operate. This structure has to take some form or other, but instead of incorporating structures that are true to the target system, the settings made in mainstream economic models are rather based on formalistic mathematical tractability. In the models they often appear as unrealistic ‘tractability’ assumptions, usually playing a decisive role in getting the deductive machinery to deliver precise’ and ‘rigorous’ results. This, of course, makes exporting to real-world target systems problematic, since these models – as part of a deductivist covering-law tradition in economics – are thought to deliver general and far-reaching conclusions that are externally valid. But how can we be sure the lessons learned in these theories and models have external validity when based on highly specific unrealistic assumptions? As a rule, the more specific and concrete the structures, the less generalizable the results. 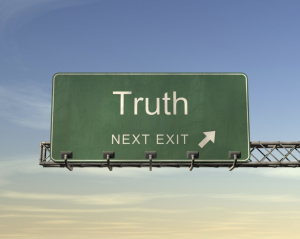 Admitting that we in principle can move from (partial) falsehoods in theories and models to truth in real-world target systems do not take us very far unless a thorough explication of the relation between theory, model and the real world target system is made. To have a deductive warrant for things happening in a closed model is no guarantee for them being preserved when applied to an open real-world target system. If the ultimate criteria for success of a deductivist system are to what extent it predicts and cohere with (parts of) reality, modern mainstream economics seems to be a hopeless misallocation of scientific resources. To focus scientific endeavours on proving things in models is a gross misapprehension of what an economic theory ought to be about. Real-world economic systems do not conform to the restricted closed-system structure the mainstream modelling strategy presupposes. • Garfinkel, Alan (1981). Forms of explanation: rethinking the questions in social theory. New Haven: Yale U.P.